The Cafe Edison could have been saved. 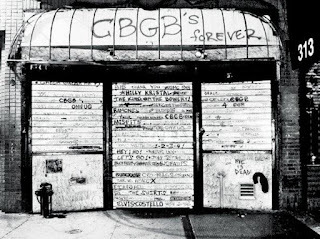 CBGBs could have been saved. Lincoln Plaza Cinemas could have been saved. Your favorite restaurant, bar, and bookshop is next--if you don't do something right now. At long last, the Small Business Jobs Survival Act is getting a hearing. This is the moment we've all been waiting for. It's time to stop complaining and do something. - Councilmember Mark Gjonaj is Chair of the Council's Small Business Committee--write or call him, too. You can also contact the members of that committee: Diana Ayala, Stephen T. Levin, Bill Perkins, and Carlina Rivera. 3. Spread the word:- Share this blog post on your social media--and not just once, share it multiple times, and every time a beloved business is forced out by rent hike or non-renewal of lease. - Inform your local businesspeople. Tell your bodega people, your barber, your therapist, your dentist, your bartender, the people who fix your shoes and do your laundry, the folks who serve your lunch and pour your coffee. Tell them all that there is a solution, there is a protection, and we all can make it happen. - If you are not a New Yorker, you can still write and call the City Council and the Speaker. Tell them you don't want to bring your tourist dollars to a city that's full of nothing but chain stores and luxury glass towers. Tell them to pass the SBJSA. UPDATE: The hearing happened on October 22. For more information, read here. Legally vetted and deemed fully constitutional, the SBJSA gives existing commercial tenants a few basic rights, including: 1. the right to renew the lease, 2. a minimum 10-year extension, and 3. equal rights to negotiate a fair rent, with third-party arbitration if an agreement between tenant and landlord cannot be reached. In that case, the arbitrator may determine a reasonable increase, a decision based on multiple factors, including current fair market rates for similar properties. -Read more about the SBJSA here and here and here. If you've been complaining about the vanishing of New York, now is your chance to change things for the better. At this point, you really have no excuse. If you do nothing, then quit complaining. Speaker Corey Johson Pledging Support for Small Businesses (WNYC Brian Lehrer) from Wheelhouse Communications on Vimeo. Completely untrue that the legislation is "Legally vetted and deemed fully constitutional." It has a variety of legal problems. It's great that it's having a hearing -- we should definitely have a conversation about why it would or would not be a good idea -- but let's be clear that there are legitimate concerns. "Both in 1988 and 2008, SBJSA introduction was met with questions about whether the bill violated the Constitution’s “contract” clause, which forbids the government from “impairing” contracts between private individuals, and doubts about whether the city has any authority over commercial rent regulations. But corporation counsel lawyers in 1988 and the City Council legislative division in 2009 both concluded that the city did, in fact, have jurisdiction." That journalist misunderstands what happened. In 1988, the lawyers drew a much narrower conclusion -- their "jurisdiction" conclusion was that the legislation wouldn't violate the Urstadt law, which prohibits residential rent regulation. That opinion was correct as far as it went, but it didn't address whether the legislation, if passed, would pass constitutional muster on either the state or federal levels. In 2008, the Bronx Boro President held a hearing, and issued a report finding that the legislation would be valid, but its reasoning was not viewed as persuasive by corp counsel or by the Council's lawyers at the time or since. Lots of people want this law to be the solution. But the reason it has been kicking around for 30 years without getting passed is that it's highly legally questionable. 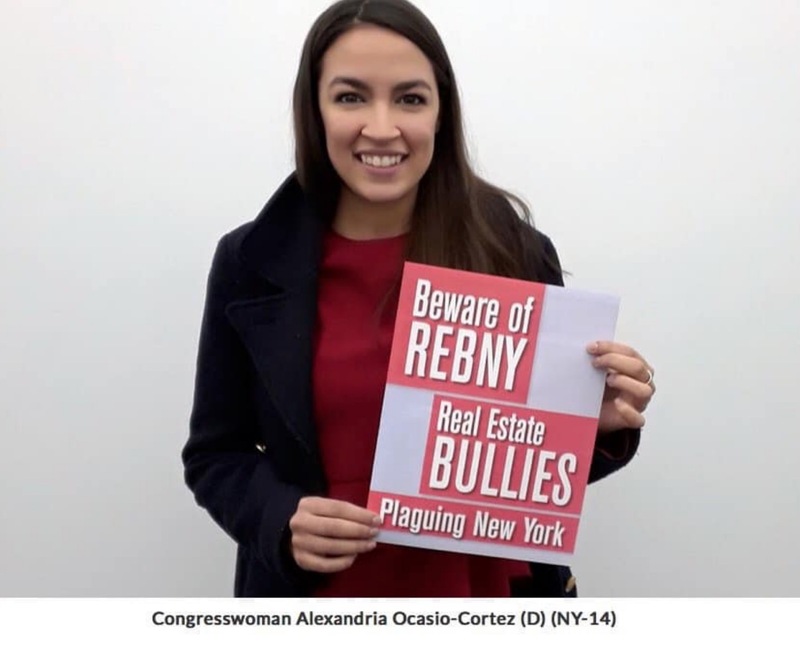 And the issue isn't that the Council is under the thumb of REBNY, or business leaders or whoever -- the Council passes all kinds of laws that REBNY etc loathe.